You don't need a login to buy from us - this will be automatically created for you when you place your first order. 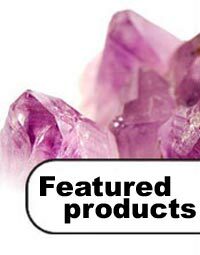 "I recently purchased a variety from your selection of crystals and am very impressed with quality and ease of purchase. Thank you, i will buy again and am recommending your site to others." Like us on Facebook to learn more about our beautiful crystals... We'll also let you know when new crystals arrive.